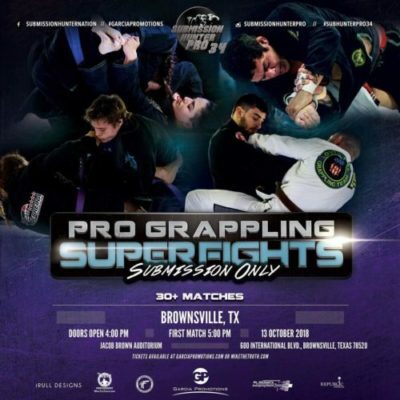 Submission Hunter Pro grappling series makes its way to Brownsville, Tx for Submission Hunter Pro 34. The event takes place on Saturday, October 13, and will be held at the Jacob Brown Auditorium. Check out the 30+ match card below. Purchase your tickets here at MikeTheTruth.com, grapplers receive a commission.